In 1985 southern Sudan is ravaged by war. Rebels and government forces battle for control, with ordinary people . . . people like the boy, Salva Dut . . . caught in the middle. 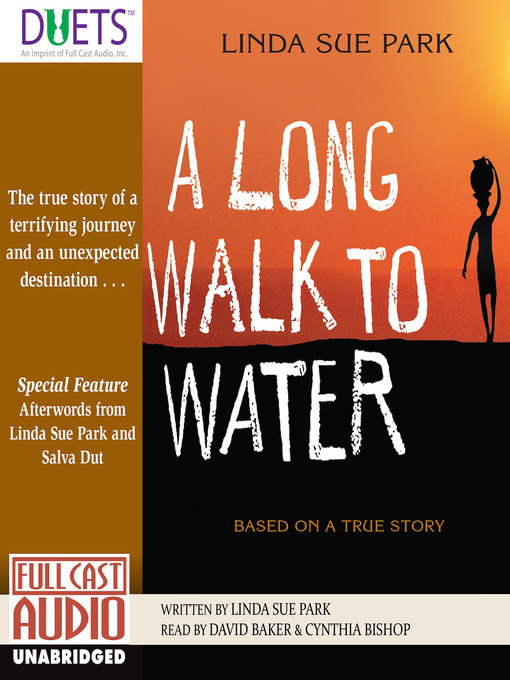 When Salva's village is attacked, he must embark on a harrowing journey that will propel him through horror and heartbreak, across a harsh desert, and into a strange new life.Years later, in contemporary South Sudan, a girl named Nya must walk eight hours a day to fetch water. The walk is grueling, but there is unexpected hope.How these two stories intersect is told in this fascinating dual narrative, performed by David Baker and Cynthia Bishop, with the assistance of dialect coach James Achueil . . . who actually made the same journey across Africa when he was one of the "Lost Boys of the Sudan."